"EiB Analytics has revolutionised our Sage 200 reporting process….. the functionality is simply fantastic." TEG Group is in the vanguard of organic waste technology, with the capability to deliver tailored organic waste solutions for a wide variety of wastes including; Kitchen and garden waste, Food waste from catering or manufacturing companies, Source segregated MSW (Municipal Solid Waste), Green Waste, and Category 3 APB (Animal By-Product) Waste. TEG Group is delivering scalable, adaptable in-vessel composting (IVC) and anaerobic digestion (AD) solutions which are tailored to suit individual requirements and budgets. TEG Group can also develop market outlets for the compost produced by its plants via TEG’s sister company, NOFCO (The Natural Organic Fertiliser Company). 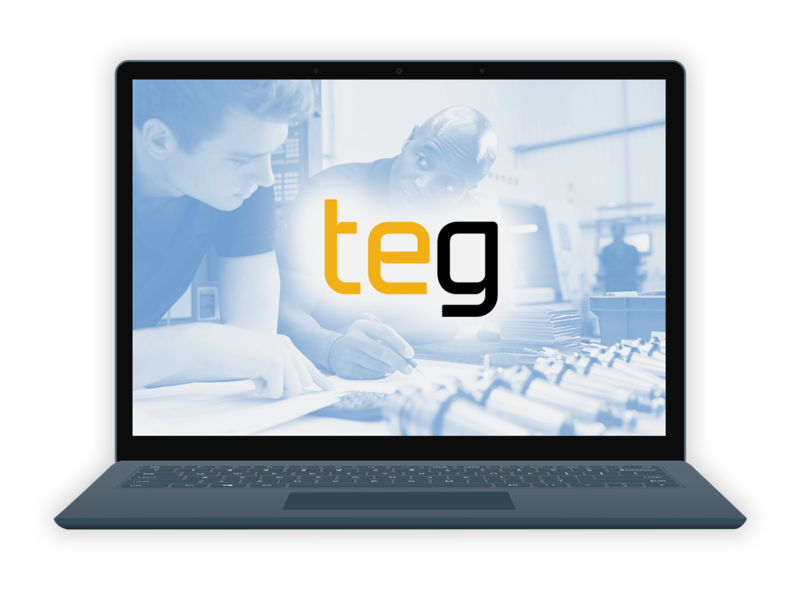 Prior to the installation of EiB Analytics,the monthly reporting process at TEG Group was complex and required the extraction of detailed Trial Balancesfrom Sage 200 into multiple Excel spreadsheets. With no direct integration with Sage 200,management reportingwas manual, time consumingand error prone. 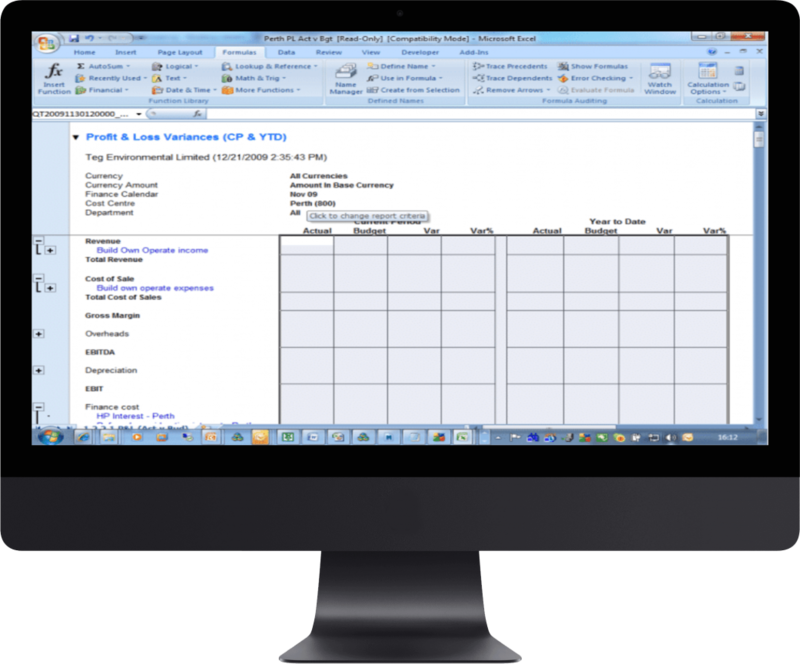 Once the detailedinformationarrivedin Excel, tailored reports for TEG’s subsidiaries and TEG plc werethenmanually constructed and delivered. “Our whole period end reporting process would previously take 4 to 5 days, including lots of keying of checks and balances between Sage 200 and Excel, plus the manual inclusionof the monthly management commentary”,says Tanja Willis, Finance Director for the TEG Group plc.“Reporting across TEG Group plc,plus our four subsidiaries by cost Centre, had evolved over the years, with the sheer volume of information and presentation requiring on going maintenance as our business continued to grow.The reporting process was supported by our Management Accountant and myself, and without our manual involvement in the previous process,the presentation of our results could have been catastrophic”, adds Tanja. “EiB Analytics has revolutionised our Sage 200 reporting and has already reduced our monthly reporting cycle by over 50%” continues Tanja. “As I become more familiar with the product , my objective is to furher this to a 75% reduction in time savings alone.